In this section, we shall look at a few past year MCQ questions from top JCs. In the A levels Chemistry, the MCQ paper (paper 1) is a 40-question paper, in which students are given only 60 minutes to work out the solutions. That works out to 1.5 min / question. A common problem amongst A level students is trying to complete the paper on time. Hence, the challenge in paper 1 is not only to solve the question correctly, but to do so in a very quick manner. Methane was burned in an incorrectly adjusted burner. The methane was converted into a mixture of carbon dioxide and carbon monoxide in the ratio of 98:2, together with water vapour. What will be the volume of oxygen consumed when y dm3 of methane is burned? The total volume of O2 needed can then be calculated and the answer is still B. A 10 cm3 sample of a gaseous hydrocarbon measured at room temperature and pressure (r.t.p) was reacted with 70 cm3 of oxygen. The resulting gas mixture collected was found to have a volume of 60 cm3 (also measured at r.t.p). The gas mixture was completely absorbed by aqueous potassium hydroxide. The gas absorbed by potassium hydroxide is CO2. Thus the empirical formula of the hydrocarbon is C6H4. 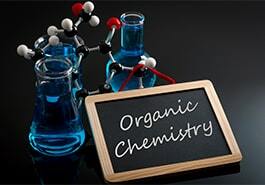 Answer is D.
Get more insights from one of Singapore’s best chemistry tutors: Mr Dion Khoo.